Seattle – July 31, 2018 – DefinedCrowd Corp., a smart data company for AI, announced the closing of a $11.8M Series A funding round today. Led by New-York/Zurich based Evolution Equity Partners, the round brought in Kibo Ventures, Mastercard and EDP (Energias de Portugal) as new investors, and secured additional capital from current investors Sony, Portugal Ventures, Amazon, and Busy Angels. “DefinedCrowd’s SaaS platform has very quickly positioned the company as an innovative leader to solve AI/ML’s global most pressing problem, the need for continuous access to highly accurate data. Evolution Equity Partners is honored to lead this growth-targeted Series A round that comes at an inflection point for DefinedCrowd to manage its triple digit revenue growth trajectory and customer on-boarding globally,” says Dennis Smith, Founder and Managing Partner at Evolution Equity Partners and the newest member of DefinedCrowd’s Board of Directors. 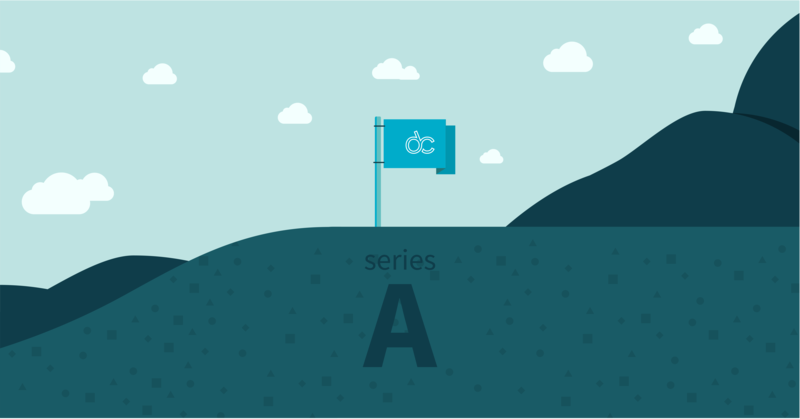 The capital secured in this Series A round will be used to develop DefinedCrowd’s product offerings, expand the team, and rapidly increase market-share globally. 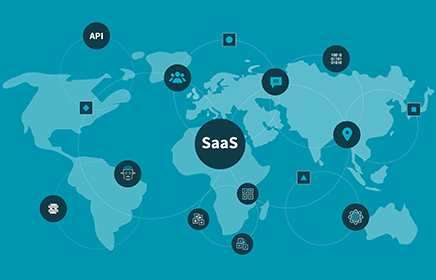 This follows the 6x year-over-year company growth and expansion efforts put in motion at the beginning of this year – in January the company publicly unveiled its SaaS platform allowing data scientists to collect, enrich and structure data to train their AI and ML models via Web API and Web UI; in April they opened their fourth office, located in Tokyo, to expand and reinforce their presence in the Asian market, and hired Stephen Rauch, a former executive at Starbucks, HBO and Microsoft, as VP of Product. “This is a super important milestone for any start-up. I am very honored that we were Series A ready in less than 3 years thanks to our incredible market validation,” says founder and CEO Dr. Daniela Braga. “The AI revolution is increasing the need for high-quality data and it is highlighting the challenges inherent to training models with precision. With this funding, we’ll be able to continue growing our products, both the enterprise portal and Neevo. We will continue to execute on our machine learning roadmap, which makes us unique, and we will expand our world class technical sales team in order to serve our global clients even better,” she adds. DefinedCrowd was founded in 2015 and has been working with Fortune 500 clients since day one. With a client list that includes BMW, Mastercard, Nuance, and Yahoo Japan the company has proven their traction in the AI industry by providing KPIs around quality, throughput and scale. The company also offers capabilities in 46 languages, supported by their own community, Neevo by DefinedCrowd, which consists of 45,000+ skilled members worldwide. DefinedCrowd offers high-quality training data to help machine learning products reach market at improved quality and speed. With world-class expertise in speech and NLP technologies, they support a broad range of use cases, from virtual assistants, to customer review, autonomous vehicles, content categorization, pattern recognition, or even surveillance systems. Through a combination of human intelligence, automatic tools, and machine learning capabilities, DefinedCrowd’s platform allows data scientists to collect, structure, and enrich training data through efficient workflows designed to accelerate enterprise AI initiatives. Their value proposition is quality (98% accurate), speed (2x faster than competition) and scale (90% of languages covered). Evolution Equity Partners, based in New York City and Zurich, Switzerland, invests in fast-growing technology companies in the United States, Europe and Israel helping exceptional entrepreneurs develop market-leading companies. The firm has a focus on Cyber-Security, Enterprise Software and AI/ML, and its partners have been involved as founders, investors and as senior operating executives in leading software companies around the world. Current and past portfolio companies include: AVG Technologies (NYSE: AVG), Cognitive Security (now a part of Cisco), OpenDNS (now a part of Cisco), Carbon Black (NASDAQ: CBLK), Onapsis, Security Scorecard, DFLabs, Logpoint, Fortscale, Eperi, Zoom.ai, among others. For more information, please visit: www.evolutionequity.com or connect via Twitter @evolutionequity. Seattle – (January 16th 2018) – DefinedCrowd Corp., a technology startup offering a smart data platform, released their product to market today. The company developed a Software-as-a-Service (SaaS) that allows data scientists to collect, enrich, and structure data for Artificial Intelligence (AI). With a rapidly growing AI market, DefinedCrowd aims to fill the gap when it comes to accessing fast, scalable, high-quality training data. The startup offers a SaaS solution, where companies and data scientists can get high-quality datasets to train their AI and Machine Learning systems. In the platform, clients are able to create projects online from available templates with highly customizable settings. Once the project is launched, the user can monitor its progress in near real time, through quality and performance metrics. Users can also access their data through an API, which was released at the Web Summit in November, and connect DefinedCrowd platform with their machine learning infrastructure along the various data lifecycle phases, from model bootstrapping, to feedback loop data improvements and testing. “This is a huge milestone for DefinedCrowd,” says Founder and CEO Dr. Daniela Braga. “It is the culmination of two years working on this solution, and we are really proud to release to the world our SaaS platform, with features designed to make data scientists’ lives easier,” adds Dr. Braga. With a strong specialization in Speech Technologies and Natural Language Processing, along with tools for computer vision, image recognition and other machine learning ecosystems, the company offers solutions to help build a multitude of human-to-computer (HTC) interaction models which can be applied to a number of segments such as Customer Service, Automotive, Energy, Fintech, Retail, Media, Healthcare to name a few. The startup also has their own skilled community, which has been building up around the recently launched brand Neevo by DefinedCrowd. “Human input is critical to ensure accurate results in human-centric AI systems,” tells CBDO Aya Zook. “This is why it is so important to build a skilled and reliable community, which is the key to surpass quality thresholds,” concludes Zook. The smart data solution is available at www.definedcrowd.ai, where companies can start creating their projects online and getting their high-quality training datasets. To get started, contact DefinedCrowd via the homepage to request a demo and learn about the different annual subscription offers. DefinedCrowd is an intelligent data platform for AI. It combines human-in-the-loop and machine learning capabilities to accelerate enterprise data training and modelling. Guided by experts in speech and natural language technologies, the DefinedCrowd platform leverages machine learning, data science and modern human-in-the-loop to enable enterprises to easily manage their global data collection and enrichment programs. DefinedCrowd offers include text, speech, image, video and multimodal data workflows, in 46 languages, with a community of 20,000 contributors in 53 countries, which help process an average of 10,000 units of data per day, per client, across 20+ clients. DefinedCrowd was founded in 2015 and is headquartered in Seattle, Washington. Learn more at www.definedcrowd.ai. The Seattle startup announced the version 1.0 of their data platform public API for artificial intelligence and machine learning today, at the tech event taking place this week in Lisbon. Seattle – (November 6th 2017) – DefinedCrowd Corp., a startup that offers a platform to collect, enrich and structure data for artificial intelligence (AI) applications, announced the release of version 1.0 of their public API at Web Summit. Announced ahead of its general availability on November 8th, the product helps companies create new projects, upload tasks, and execute data collections and data processing campaigns in a more streamlined way, directly from their own data and Machine Learning infrastructure. Led by its founder & CEO Dr. Daniela Braga, DefinedCrowd has a strong presence at this year’s Web Summit: A demo booth as part of the Beta program (on November 8th at Stand B 412 of the Big Data Exhibition Area) and pitching to compete among top 200 startups (on November 7th at 2 p.m. on stage PITCH 2). The API, which is officially launching during DefinedCrowd’s Beta booth program, is responding to the increasing demand of the company’s growing list of clients to launch large scale data processing activities on a regular basis. With this product, data scientists can meet their constant data feedback loop needs with much more control and more efficiently, thus allowing them to refresh their machine learning models much faster. “The life of data scientists will become easier with this API,” says CEO and Founder Dr. Daniela Braga. “They will have the option to integrate their data platforms with DefinedCrowd, having complete control of their projects, working from their own platforms. This will give them direct access to high-quality large-scale data with very little overhead,” adds Dr. Braga. In the public release, the number of data pipelines that can be accessed will increase compared to the currently available private beta version of the API. Coverage of data types will include speech and text data collections (in 46 languages) to transcription and annotation activities such as sentiment tagging, named entity tagging, as well as several other speech and natural language validation tasks. The release helps DefinedCrowd reinforce their position as the leading provider in high-quality data for artificial intelligence. DefinedCrowd is an intelligent data platform for AI. It combines Crowd-as-a-Service and machine learning capabilities to accelerate enterprise data training and modelling. Guided by experts in speech and natural language technologies, the DefinedCrowd platform leverages machine learning, data science and modern crowdsourcing to enable enterprises to easily manage their global data collection and enrichment programs. DefinedCrowd offers include text, speech, image, video and multimodal data workflows, in 46 languages, with a community of 20,000 contributors in 53 countries, which help process an average of 10,000 units of data per day, per client, across 20+ clients. DefinedCrowd was founded in 2015 and is headquartered in Seattle, Washington. Learn more at www.definedcrowd.ai. Neevo by DefinedCrowd is the new face of the crowd platform of the company. SEATTLE, WA – (September 26, 2017) – DefinedCrowd Corp., a startup that offers a platform for companies to collect, enrich and structure data for artificial intelligence (AI) applications, unveiled the new brand of their human data management product applied to data science, Neevo. Designed for people interested in participating in the future of AI, Neevo is an online platform where users can contribute to the development and improvement of Artificial Intelligence systems, by doing written, tagging, collection, and classification tasks. The human inputs provided are then used for training data (human-in-the-loop), which enables the parent company DefinedCrowd to offer high-quality datasets to their clients, that include companies such as Accenture, Jibo, Nuance, Voicebox and a number of Fortune 500s innovating in AI. The public platform, now called Neevo, has already more than 15.000 users across the world since the company was founded two years ago. 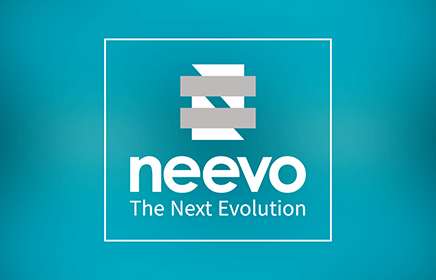 To be part of the next evolution, interested users simply have to register at http://neevo.definedcrowd.com and complete their profile. Based on incoming task types that match their profile (e.g., language proficiency, skill level, etc. ), registered users will be notified of the task and compensated for their contributions considering on the quality of the work. SEATTLE, WA – (May 23, 2017) – DefinedCrowd Corp., a startup that allows companies to collect, enrich and train data for artificial intelligence (AI) applications, was selected to participated on TechCrunch Startup Battlefield NY. The enterprise revealed on stage the Multimodal Workflow, a new feature of the platform. TechCrunch’s Startup Battlefield is one of the most important and competitive event for tech startups. This year’s acceptance rate was less than 3% and the top companies selected pitched their business during TechCrunch Disrupt NY to a specialized jury, and a vast live audience, while the event was livestreamed to all the world. “This is truly an honor,” states Dr. Braga, CEO of DefinedCrowd. “It’s great to be among the few selected to pitch their companies on stage. TechCrunch has always been a reference to us and it’s really exciting for us to be part of this.” The video of the presentation is available on TechCrunch’s Youtube Channel. Dr. Braga revealed the new feature of DefinedCrowd’s platform on stage, the Multimodal Workflow. This template will serve clients with specific need of synchronized data collections from different inputs. With spontaneous scenarios or scripted prompts clients can now collect speech, video and even biometrics data all synchronized and ready to be used. Beside demographic configuration (Language and Proficiency, Gender, Age and Country), the clients can set up the collection environment to theirs needs, for example, selecting from home, living-room, office or In-car environments and optimize the noise conditions and recording distance. They’re able to choose the output quality and format of video and audio as well as combine different physiological signals, as Heart Beat, Respiratory Rate or EDA and other sensors as GPS and Accelerometer. All the other settings are optional and configurable, so clients have access to a complex but flexible workflow, easy to use and configured to their needs. “This feature allows us to meet the market requests, since there is an increasing number of AI companies needing synchronized data to train their models. This new workflow enables the creation of data needed to build a service that will monitor our vital signs and recommend a calming playlist when we’re stressed, for instance,” explains Dr. Braga. “It’s really exciting for us to release the Multimodal workflow at Startup Battlefield, which will give us a huge exposure,” she adds. TechCrunch Disrupt NY, which Startup Battlefield is part of, took place in New York from May 15th to 17th. DefinedCrowd is one of the fastest growing tech startups. Founded in August 2015, it’s one of the few companies that has clients since day one. Their customers include Nikon, Jibo, Accenture, and other 500 Fortune companies. Accelerated by the Microsoft Ventures Seattle program, DefinedCrowd counts with investments from Sony Innovation Fund and Amazon Alexa, among others. SEATTLE, WA–(Marketwired - March 01, 2017) - DefinedCrowd Corp., an intelligent data platform helping data scientists enrich and train data for artificial intelligence (AI) applications, today announced the release of the alpha version of their Software-as-a-Service (SaaS) for enterprise-scale speech technologies and natural language processing (NLP). With their expertise in speech and natural language technologies, the DefinedCrowd platform combines machine learning and data science with the global power and scale of modern crowdsourcing. This enables enterprises to improve quality, scalability, and time-to-market for speech and NLP components of AI applications. The announcement was made via blog post by Dr. Daniela Braga, the Chief Executive Officer of DefinedCrowd. 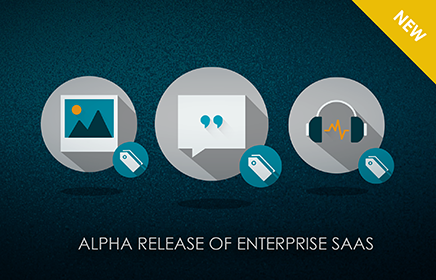 The alpha version of the SaaS for enterprise customers focuses on the core strength of DefinedCrowd – speech and NLP data workflows. Optimized for AI and machine learning (ML) applications, the platform enables data scientists to collect and enrich data from scratch or have their own data cleaned and structured. Instead of spending months building the infrastructure to collect and label data, with the new platform from DefinedCrowd, data scientists can select from specialized built-in workflows that will guide them through a combination of humans-in-the-loop and machine learning models in 46 languages to deliver high quality structured data in a faster turnaround time. In the alpha version, the data workflows released include: speech data collections, speech transcription and validation, data collection and semantic tagging for chatbots building, and sentiment tagging, and semantic annotation. SEATTLE, WA and TOKYO, JAPAN–(Marketwired – November 16, 2016) – DefinedCrowd Corp., a next-generation data science company for artificial intelligence (AI), today announced at TechCrunch Japan the release of their private beta global intelligent data platform for enterprise-scale speech technologies and natural language processing (NLP). With its expertise in speech and natural language technologies, the DefinedCrowd platform combines machine learning and data science with the global power and scale of modern crowdsourcing. It enables enterprises to improve quality, scalability, and time-to-market for the speech and NLP components of AI applications. The announcement was made during a keynote speech by Dr. Daniela Braga, DefinedCrowd’s Chief Executive Officer. Today, the company released the latest phase of speech processing program templates and introduced their first image collection and enrichment data pipeline, marking the first step into the exploding AI-based image enrichment market. All of these new pipelines enable enterprises to define and distribute speech and natural language programs for processing through the DefinedCrowd global Crowd-as-a-Service platform. The updated templates released today include, among others: speech data collections for acoustic model training, queries and text variants collections, dialogue systems testing, emotion labeling, and image and video tagging. These add to the previously announced pipelines which included semantic annotation for natural language understanding, mean opinion score for text-to-speech evaluation, text and audio validation, and orthographic transcription for automatic speech recognition. To learn more about the DefinedCrowd, please visit https://www.definedcrowd.com/. DefinedCrowd is an intelligent data platform for AI. It combines Crowd-as-a-Service and machine learning capabilities to accelerate enterprise data training and modeling. Guided by experts in speech and natural language technologies, the DefinedCrowd platform leverages machine learning, data science and modern crowdsourcing to enable enterprises easily manage their global data collection and enrichment programs. DefinedCrowd was founded in 2015 and it is headquartered in Seattle, Washington. Learn more at https://www.definedcrowd.com/. KIRKLAND, WA -- (September 1, 2016) - DefinedCrowd Corp., a next-generation data science company focused on building data refinery platforms for machine learning and artificial intelligence, today announced a $1.1 million Series Seed funding round which included Sony Innovation Fund, Amazon Alexa Fund, and Portugal Ventures. The investment will be used to accelerate the development of the DefinedCrowd software-as-a-service platform, which combines machine learning and data science with the global power and scale of modern crowdsourcing to enable enterprises to improve quality, scalability, and time-to-market for their artificial intelligence and natural language processing applications. To learn more about the DefinedCrowd, please visit https://www.definedcrowd.com. DefinedCrowd is an intelligent data platform for machine learning. It combines crowdsourcing and machine learning capabilities to accelerate enterprise data training and modeling. With expertise in speech and natural language technologies, the DefinedCrowd platform leverages machine learning, data science and modern crowdsourcing to enable enterprises easily manage their global data collection and enrichment programs. 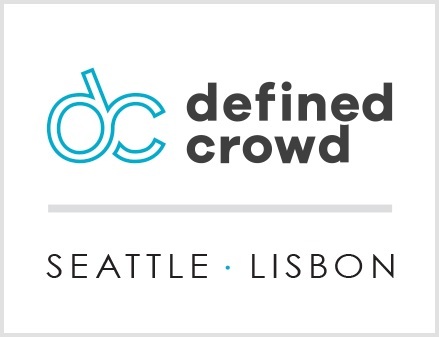 DefinedCrowd was founded in 2015 and is headquartered in Seattle, Washington, with a research and development center in Lisbon, Portugal. Learn more at https://www.definedcrowd.com/. KIRKLAND, WA – DefinedCrowd Corp., a next-generation data science company for artificial intelligence (AI), today announced the private beta release of their first set of intelligent data program templates. The DefinedCrowd platform is a global data acquisition and enrichment platform designed for enterprise-scale speech technology and natural language processing (NLP) data programs. With its expertise in speech and natural language technologies, the platform combines machine learning and data science with the global power and scale of modern crowdsourcing. It enables enterprises to improve quality, scalability, and time-to-market for their speech and NLP applications. The company has now released their initial set of speech data program templates to enable enterprises to define and distribute the most common speech and natural language data programs internationally. 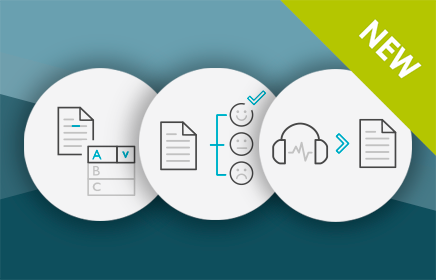 The eight templates released today include, among others: Semantic Annotation for Natural Language Understanding, Mean Opinion Score for Text-to-Speech Evaluation, Text-to-Audio Validation and Orthographic Transcription for Automatic Speech Recognition. More templates and data pipelines will be released over the next few months. 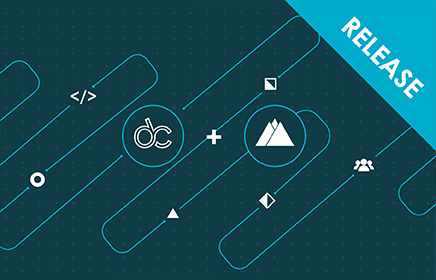 "We are incredibly excited to announce the private beta release of our first intelligent data program templates today," said Amy Du, Chief Executive Officer of DefinedCrowd. "With the launch of our initial wave of speech and NLP data program templates, we help accelerate global enterprise data training and modeling using data science and machine learning capabilities." Additionally, DefinedCrowd shared that the company is now capable of executing in over 30 countries and over 100 dialects. "Addressing the opportunity and challenge of the global AI data market requires a new approach," said Dr. Daniela Braga, President and Chief Scientist. "We believe the combination of our worldwide Crowd-as-a-Service platform with machine learning capabilities enables DefinedCrowd to provide large volumes of intelligent data quickly for today's speech data scientists. The end result is improved quality, reduced cost and faster time-to-market." DefinedCrowd is an intelligent data platform for AI. It combines Crowd-as-a-Service and machine learning capabilities to accelerate enterprise data training and modeling. With the expertise in speech and natural language technologies, the DefinedCrowd platform leverages machine learning, data science and modern crowdsourcing to enable enterprises easily manage their global data collection and enrichment programs. DefinedCrowd was founded in 2015 and it is headquartered in Kirkland, Washington. Learn more at https://www.definedcrowd.com/. KIRKLAND, WA – DefinedCrowd Corp., a next-generation data science company for artificial intelligence (AI), today announced the launch of their global intelligent data platform for enterprise-scale speech technology and natural language processing (NLP) programs. With its expertise in speech and natural language technologies, the DefinedCrowd platform combines machine learning and data science with the global power and scale of modern crowdsourcing. It enables enterprises to improve quality, scalability, and time-to-market for their speech and NLP applications. 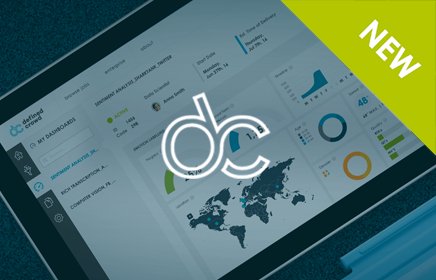 "We are incredibly excited to announce our intelligent data platform today. Our goal is to combine advanced data science and machine learning techniques with the global scale of Crowd-as-a-Service capacity. Our platform is designed to bring to the market a smarter data processing solution for AI applications," said Amy Du, Chief Executive Officer of DefinedCrowd. "As natural user interfaces continue to evolve, we believe that voice will become the primary input and response mechanism for all human-computer interactions. Today we have launched our intelligent data platform for speech and NLP applications and we will continue to add more features over time to support AI customers' and partners' data needs." Additionally, DefinedCrowd announced that the company has been accepted into Microsoft Ventures Seattle Accelerator for Spring 2016. As one of the selected companies, DefinedCrowd will participate in an intensive four-month program to advance its product roadmap and market position. Moreover, as part of the Microsoft Ventures program, DefinedCrowd will gain early access to key machine learning technologies and collaborate with Microsoft senior leadership and partners. "We are extremely excited to be joining the next batch of the Microsoft Ventures Accelerator," said Dr. Daniela Braga, President and Chief Scientist. "We already have a long list of Fortune 500 customers that are interested in or are already working with our platform. 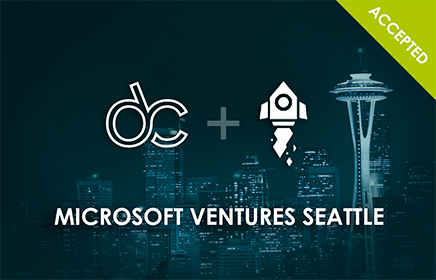 We believe that Microsoft Ventures Seattle will further accelerate our development and expansion." In this section you can find several visual assets that may be useful for you. You can find different version of the logo, team's photos and product packshots and other assets.